DECEMBER 5th IS THE DEADLINE FOR CHRISTMAS DELIVERY! 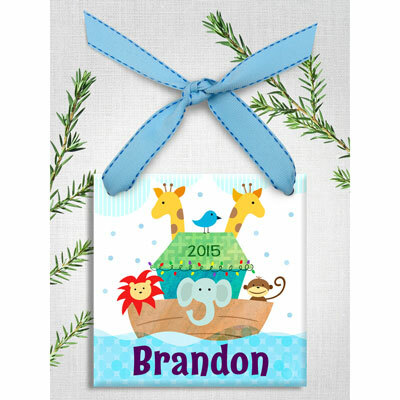 Perfect for the holiday season, this 4.25" Square Ornament is personalized and individually hand-finished with your child's name and the year. 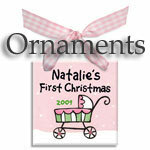 A personalized ornament is cherished year after year and makes a great "early Christmas gift" for the family to enjoy. This original artwork is heat-sealed into each tile, ensuring a high-quality finish and a long lasting holiday keepsake. The personalized Christmas ornament comes with a coordinating ribbon, already assembled and ready to hang on the tree! The ornament is a one of a kind... handpainted and personalized in the US just for you. Made of a 4.25" x 4.25" flat ceramic tile.